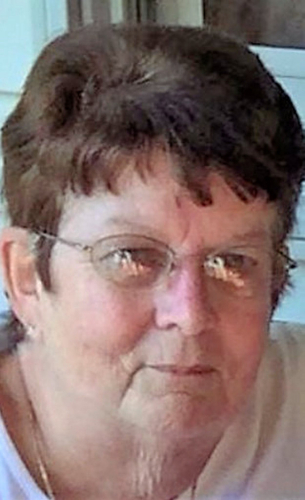 Grace L. Baldwin Kacer, 76, of Carbondale, died Wednesday at Geisinger Community Medical Center. She was the wife of Stephen Kacer. The couple was married for 57 years. Born in Carbondale, daughter of the late John and Mary Maver Baldwin, she was a member of Trinity Episcopal Church, Carbondale. She was a graduate of Benjamin Franklin High School, class of 1959. Before retirement, she was employed as a seamstress in several dress factories in the Carbondale area. She enjoyed spending winters in Daytona Beach, Fla. She was an animal lover and she loved to crochet. Also surviving are a son, Stephen Kacer, Carbondale; a daughter, Patricia Turano, Carbondale; a grandson, Vincent Turano, Carbondale; a sister, Jean Taylor, Greenfield Twp. ; a brother, Christopher Baldwin, Carbondale; and several nieces and nephews. She was also preceded in death by a grandson, Timothy Turano; and a sister, Florence Worthling. The funeral will be Wednesday with services at 5 p.m. in Trinity Episcopal Church, 58 River St., Carbondale. Arrangements by the Brennan & Brennan Funeral Home Inc., 55 Lincoln Ave., Carbondale. Memorial donations may be made to the Timothy J. Turano Memorial Fund, c/o First National Bank, 37 Dundaff St., Carbondale, PA 18407.